If you are a content creator you have certainly heard of the term “batching” before. But for those who are unfamiliar with the concept, let’s look a little closer into what exactly batching is. Batching is a productivity concept where you create content ahead of time, all in one planned sitting. Ultimately, batching refers to sticking to one task or a group of similar tasks rather than switching between different tasks. The concept of batching considers that it’s more efficient to create multiple episodes in one session than it is to create individual episodes in multiple sessions. The goal of batching is to help you get more done in a shorter period of time because your brain is already thinking about that task and the process of doing it. This eliminates the usual lag time that occurs every time you switch between tasks. So how can this be helpful to you as a podcaster? For each episode, there can be multiple phases of preparation. Such as, researching the topic, making an outline, recording the episode, and getting it ready to be published. The great thing about batching is that you can make it unique to your podcast to adapt it to what works best for your schedule and your podcast. 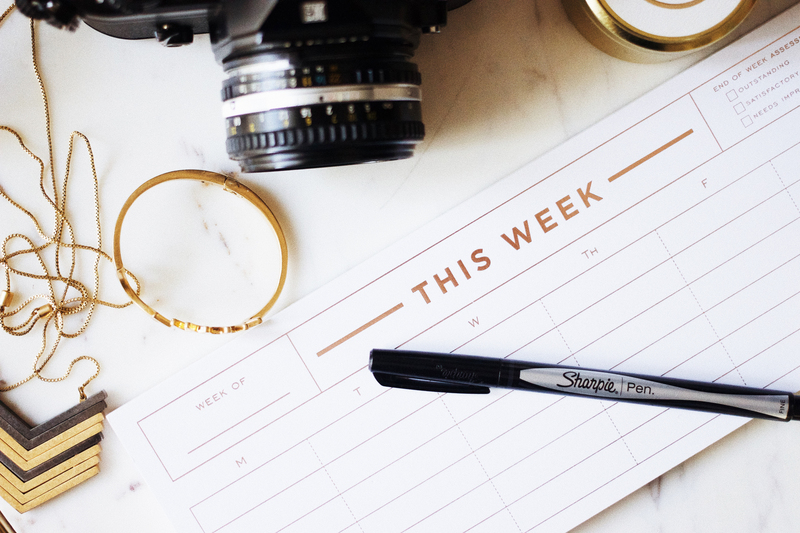 Having a game-plan for your podcasting content schedule can be crucial to combatting the overwhelm and procrastination. But before you decide whether or not batching is right for you and your podcast, check out these 9 major benefits to be gained from recording a few episodes all in one sitting. The first benefit of batching your podcast episodes is that ultimately it will save you time. All of us try our best to stick to a schedule and commit to our audience. Except life can get in the way of those good intentions. The time you had set aside to record a new episode quickly turned into an unexpected meeting or a last-minute project. When that happens, you scramble to get the episode researched, outlined, and recorded all in a short amount of time. As a result, you end up putting out a mediocre episode, or sometimes no episode at all. By batching your episodes ahead of time, everything is much more planned out and you’ve already blocked out a much bigger section of time to do it in. Plus, when the going gets tough and life gets busy, you’ll already have a few extra episodes to cover you for when unexpected things spring up. At the heart of it, increasing your productivity really comes down to honing your focus on one specific task. Batching allows you to get into your work mode easier, really allowing you to find your flow. Often times the hardest part of doing something is just getting started. But once you’re in the flow of things, words and actions just come much more easily, almost with no effort at all. This flow prevents you from having to stop and start at different times and the result is an overall boost in productivity. Your brain is focused and knows exactly what you are working on, one task to keep you on track with ample time set aside to do it. When you are solely focusing on doing one task for a set amount of time, the increase in productivity can result in a much greater end result. When you find yourself in a time-crunch, it brings with it automatic and unavoidable stress! If you know that your content is not prepared in time, often times you will feel like if you don’t get something out you are disappointing your audience and most of all yourself. The unwanted stress that gets added by being backed into a time corner can cloud your mind and ultimately decrease your productivity. The thought of getting the episode recorded and ready for publishing will constantly be on your mind or on our to-do list, which acts as a subconscious stress that simply won’t go away. A real recipe for disaster! Not only does this add extra and unwanted stress to your life, you also lose any momentum that you’ve built up because you didn’t complete the task you set out to do. Batching your podcast episodes is the best solution to avoiding the time-crunch and preventing any of that unnecessary stress. Creating a few episodes at a time and scheduling them to be published will remove the worry because you know that everything is planned and ready ahead of time. One of the single best reasons to batch your podcast episodes is because it helps you get more done, outside of your podcast. Batching does not have to start and end with your episodes. In fact, since you will have recorded and scheduled episodes in advance, this allows you to focus your energy (in the same way) on other parts of your life. It opens up more space for you to spend time drawing, reading, or simply taking time to yourself when you otherwise would have been furiously working on your podcast just to get that new episode out in time. With every episode you complete you open up more time and space to work on other areas of your life that will help you grow as a person and ultimately make your life more well-rounded and fulfilled. So go ahead, step outside of your daily podcast hustle and explore something new for a change! If you’ve read anything concerning what it takes to be a great podcaster, then you know that consistency is high up on that list! As we’ve mentioned time and again, creating a great podcast and ultimately a committed audience requires you to be consistent. This is especially crucial at the beginning of your podcast’s so-called “life”. So if you already know that you are not one to easily master the art of consistency, then batching your podcast episodes is an absolute must for you! At the beginning of every month, create your editorial calendar. This includes podcast episode topics, guests to interview, and research that is needed to be done. Essentially, it is a plan to work off of for the month. Once you’ve come up with the ideas, it’s time to put them into action. This is where batching comes in! When you’ve committed to a time to sit down and record a few episodes, no matter how far you get (whether you hit your goal or not), you will already be way ahead of where you would have been if you’d only recorded that first episode. If planning the episodes and recording them all in one sitting is too much for you to handle, break them up into two different “batching events”. This will narrow down your focus even more and improve your overall productivity. Not only will this help you conquer consistency, but you’ll also be making progress and building momentum as you move from month-to-month. Many podcasters do not have the luxury of a permanent podcasting setup. Whether you rent out a studio or borrow someone else’s podcasting equipment, your recording times have to be carefully planned out ahead of time. The same goes for those podcasters who may have their own setup, but have a family or even a day job, so recording cannot simply happen at all hours of the day. This is where batching can come in handy! If you’ve already set up a time to record, you may as well get in as many episodes as you can for the allotted time. This way, if a studio time does not work out the next time, you will already be set with a few backup episodes that are scheduled out ahead of time. This is also true for those home-studio podcasters; if you know the kids are going to be loud and stomping through the house in the afternoon, it probably is not the best idea to leave your recording until then. Instead, batch enough episodes when you have the house to yourself so that you don’t have to worry about trying to make a clean recording when the kids are “bringing down the house”. Plan ahead, batch your episodes and keep to your studio recording time. We’ve mentioned this before, and will mention it again; life is unpredictable! For this exact reason, financial gurus tell you to have an emergency savings account, and in the same way with your content, you have to have a few episodes in the bank to help you out when those unexpected things pop up. If your audience expects to hear a new episode at a specific time, the worst thing you can do is to miss out. Now often times with podcasts, you want to stay current so it can be hard to record episodes so far in advance that by the time they launch they are no longer relevant. This is where those content bank-specific episodes come into play. Plan out and record a few episodes that are essentially timeless. This can be a simple “how-to” instructional episode or a recording of a personal lesson you’ve learned that can be applied today, tomorrow, and always. These types of episodes are perfect to have in your content bank for exactly those times where you know that you just won’t be able to stick to your publishing schedule. Batching these types of episodes can be just as important, so take time to focus just on filling your content bank to get you ready for those unexpected adventures that life throws your way. Sometimes we get carried away, diving into a topic that is just simply too big to explore in one single episode. This is a great place to introduce a series or a type of theme to your podcast. Often times in these series situations, it is not good to break your flow once you get started. Continuity is much easier to attain when you’re batching. So instead of recording separate episodes, you should batch the series by just continuing your flow of the topic, and then go in afterward to break it up into different sections or parts in the series. This way the core thread of the conversation stays intact, but it still allows you to go in and add extra pieces to each individual episode to expand on the specific section of the series and create even more value for the episode. As podcasters, we know that all these things, like being more productive and conquering our consistency, can be very important. However, nothing quite beats the benefit of being so well prepared and scheduled ahead that you can actually take some time off! Batching your content can do many great things for your podcast, but knowing that you can set it on autopilot and take a great big trip is absolutely priceless! After all, batching episodes can be a lot of hard work. So being able to put your feet up and relax on a beach somewhere while your episodes seamlessly publish – well, there’s nothing that quite compares to that feeling. So go ahead, put in the hard work today and batch those episodes like a boss so that you can kick back and relax when the time is right. Now it’s your turn; how has batching your episodes helped your podcast and what were the main benefits you got from it? Plus, we’d love to hear all about your batching tips and tricks! So let us know in the comments below.